It can be easy to put off scheduled maintenance longer than we should. Oil change? It can wait. Other fluids? You’ll get to it. Brake pads? The car still stops, for now. Tires? Who needs ‘em, when a perfectly good metal wheel is already right there? 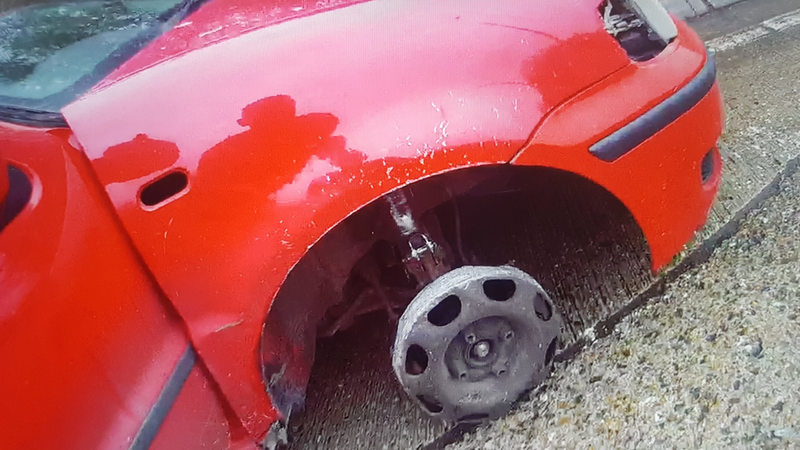 The Norfolk and Suffolk Roads and Armed Policing Team Twitter account posted this photo on Saturday without an explanation as to how this car lost a tire, but said its driver, suspected to be drunk, was just rolling around without it over the weekend. The post said police got a call reporting erratic driving on a major road and responded, “shocked” to find the driver didn’t have a front tire. It looks like the car doesn’t have much of a headlight, either, but one thing at a time here. Police didn’t name the driver in the post, but said they were arrested after a breathalyzer test showed a reading of more than three times the legal limit. Somehow I’m not greatly surprised that drinking is suspected in this one. You’re going to need something to not notice the sparks flying out from under the front of your car.